When people think of steam cleaners, they probably don’t know about all the different beneficial ways to use these powerful tools for everyday cleaning. Steam cleaning is great because it gets the job done completely chemical free. The steam cleaners neutralize bacteria with a powerful jet of hot steam, doing away with any potentially harmful chemical residue. Steam is also great for cleaning some of your favorite everyday items. Whether it’s removing grease from car rims, melting down wax from your candle holders, or even cleaning your favorite watches and jewelry to look as good as new, Polti has a diversified line of steam cleaning products that can do it all! Steam cleaners can do amazing things all throughout your kitchen. For one, it’s powerful enough to blast dirt and grime away from hard to reach spots in kitchen fixtures of all shapes and sizes. The Polti Vaporetto concentrator tip allows for a jet of steam to easily clean every nook and cranny, eliminating tough dirt build-ups. Steam is also great for cleaning grouting, whether on the floor, in the walls, or on counter tops of your kitchen. With the Polti brush adapter tip, the bristles can reach cracks and crevices all throughout your kitchen. The brush attachment can even be used to clean wooden cutting boards! Most consumers have no idea how much bacteria and residue are left on your cutting board, even after you give it a good clean. The power of steam and high heat lift the grease to the top of the board, so you can wipe it clean. Another great way to use the power of Polti steam is for cleaning dirty stove tops with the spatula tool. Lastly, steam can be used to clean kitchen sink drains and pipes, eliminating odor from your garbage disposal and melting tough grease build ups. With the Polti Vaporetto hose adaptor, you can stick it in down one end of your drain, and watch as the steam pours out on the opposite end. Another extremely useful way to use steam in your home is to wipe out bacteria lingering all throughout your bathroom. You can use steam to clean fixtures and grout, like you would in your kitchen; however, you can also use steam to fix objects, while cleaning them. Polti steam is so powerful that in minutes, it melts way any residue that might be left on your shower track, that previously had caused it to keep getting stuck. Another great way to use the power of steam is when cleaning the chrome in your shower or cleaning your shower’s sliding doors. The squeegee attachment is perfect for any glass surface or mirror because it helps it dry faster without any streaks. From the toilet seat to the sink bowl, the power of steam cleans bacteria, staph, and so much more. 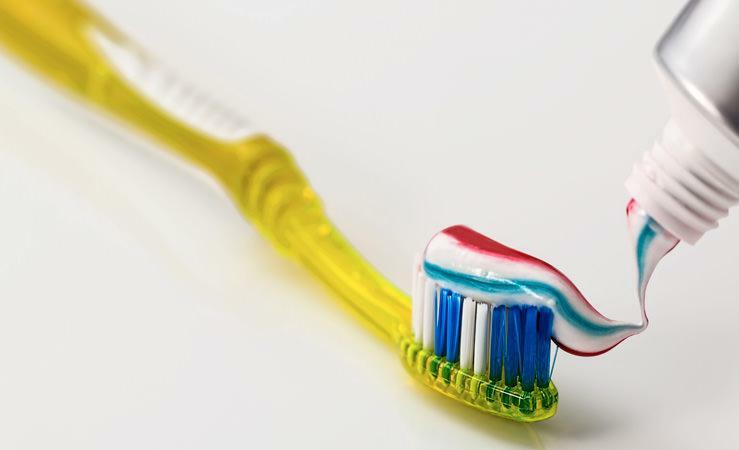 Steam can even clean all the bacteria that’s been building up on your tooth brush! There’s no need to constantly replace this when you have the power of steam to make it good as new. 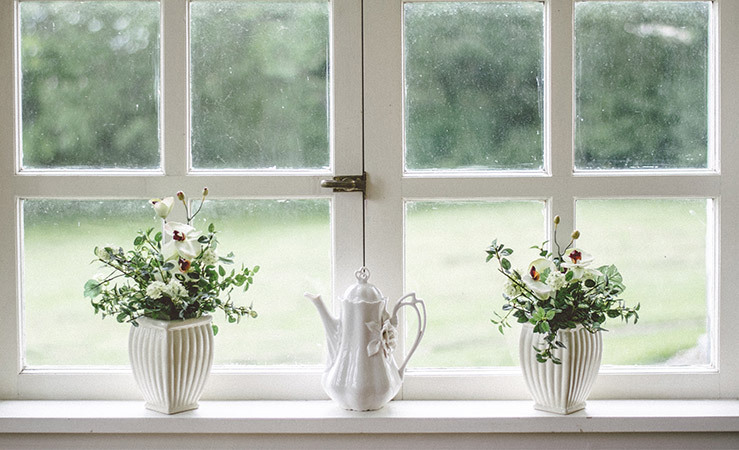 One big advantage of steam cleaners is that they work just as well outdoors as they do inside! 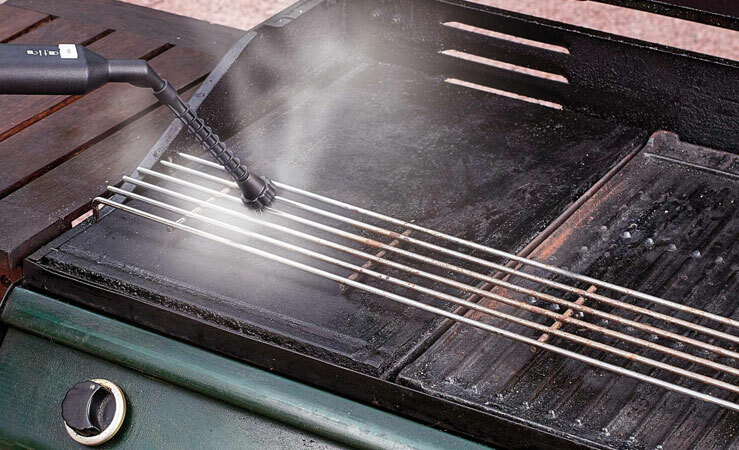 You can use steam to safely clean residue from your barbeque grill; no chemicals means no chance of contaminating your food next time you fire it up! 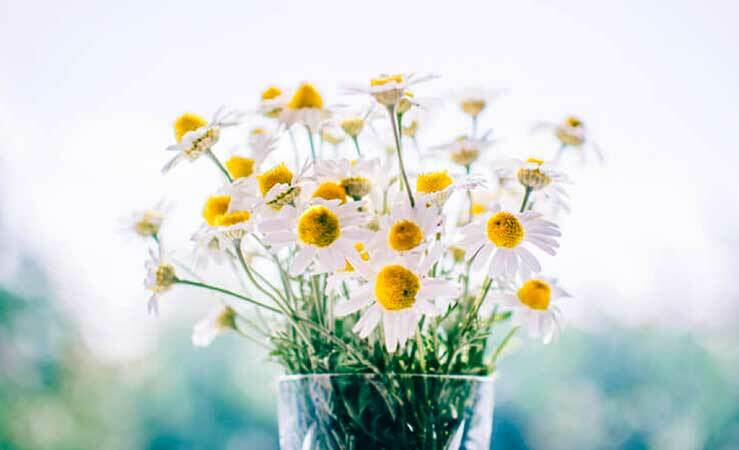 You can even take your reusable air-conditioning filters outside and give them a good steam cleaning until they are practically good as new! The high pressure and high temperature of steam are even powerful enough to blast dirt away from your patio or deck in just minutes. It’s the perfect cleaning tool to use to prep your backyard before weekend get-togethers or holiday celebrations. At the end of the day, steam is an amazingly versatile cleaning tool that can be used in any part of your home. With Thanksgiving right around the corner, we’re thankful for all the different ways we can use steam to get our home clean, chemical-free. Give Polti a try and we’re sure you’ll be thankful too!